…and the B-52s! With Belinda Carlisle! 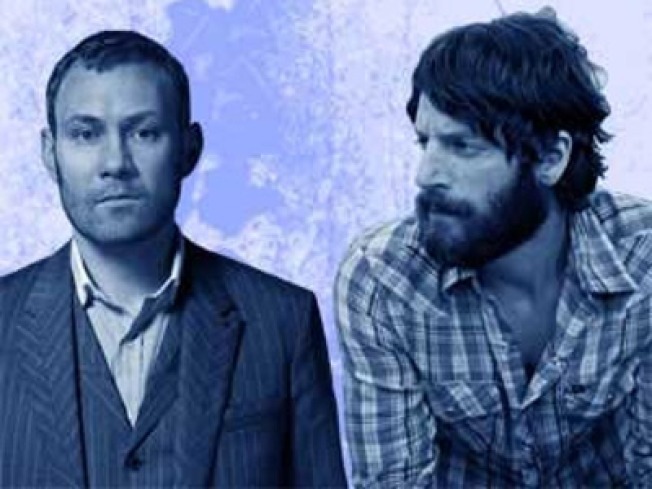 David Gray and Ray Lamontagne co-headline the Nokia at Jones Beach. DUET: Soft-spoken singer-songwriters David Gray and Ray Lamontagne aren’t bandmates, but you’d never know it: The two issued their latest albums the same day (on Tuesday, Gray dropped Foundling; Lamontagne, God Willin’ & The Creek Don't Rise with his band the Pariah Dogs) and are co-headlining a tour, which comes to Jones Beach tonight. It helps that they’re both as talented as they are prolific, but still, guys: Get a room. (Also, don’t miss the opener on this one: Serena Ryder is a talented Canuck with gravelly Heart-esque pipes.) 7PM. RETRO FIT: When you hear that the B-52s are set to play Coney Island with Belinda Carlisle, you kind of expect one of the Warriors to walk by. And yet, it’s not 1983; nor is Coney what it used to be. But this show, part of the free Seaside Summer Concert series in AsserLevyPark, should rock fairly hard nonetheless. 7:30PM. SHAKE A TAILFEATHER: Aside from having a killer soundtrack and spawning a million Halloween costumes, The Blues Brothers (John Landis, 1980) also boasts some of the most iconic cameos in the history of film. Aretha Franklin, Ray Charlesand Cab Calloway? Mission from God, indeed. Come to BrooklynBridgePark early (6PM) for spins from Brooklyn Radio’s DJ Soulstatic and a short film; Jake and Elwood drop at dusk, part of Movies With a View.